This Mac 'N Cheese will make you swoon. Rich and deliciously decadent it is not for the faint of heart. The bold flavors marry to take Mac 'N Cheese from ordinary to extraordinary. 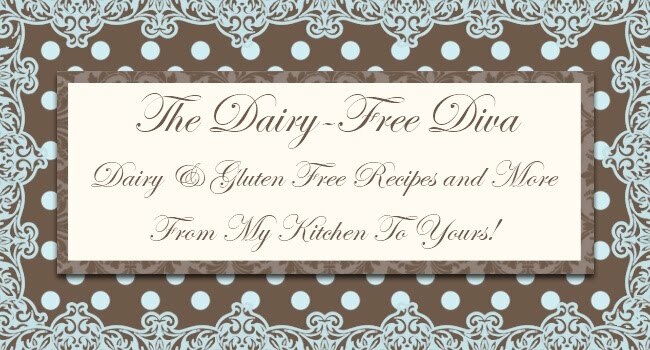 I use goat's milk in this recipe as I tolerate this well; however, to make this completely dairy free use the unsweetened dairy free milk alternative of your choice in an equal amount to the goat's milk and water combined in the recipe. Put the pasta on to cook; however, do not fully cook the pasta now to ensure that it is not overcooked in the casserole. In a deep skillet over medium to medium high heat begin to saute the bacon and onions in the buttery alternative. Continue to cook until the bacon is crispy and the onions are lightly caramelized. Add the garlic salt, garlic powder, black pepper, cayenne pepper, and rice flour. Cook for a minute then add the goat's milk, water, and mozzarella cheese alternative. Continue to cook on low until the mozzarella cheese alternative melts and the sauce is thick. Stir in the cooked pasta taking care to ensure that it is evenly coated with the sauce. Place into a 9 by 13 baking dish that has been lightly sprayed with cooking oil. Bake for 45 minutes to 1 hour at 375 F or until lightly browned. If the Mac 'N Cheese is not crispy on top place under the broiler for a minute or two. 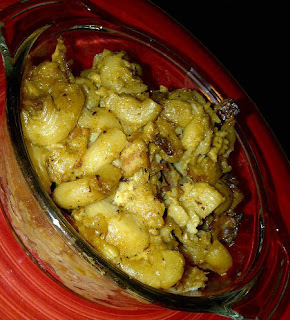 Note - I was poking around the web and realized that this recipe is similar to Fancy Macaroni by The Pioneer Woman and since I do love her blog and probably read about her version of Mac 'N Cheese way back when I do want to credit her with inspiration for this version. Looks like a wonderful recipe - my husband would love the bacon addition! I have heard really good things about the Tinkyada pasta and had wondered if it held up well in baking. A lot of the GF pastas fall apart when baked I find. I highly recommend the Tinkyada pasta for when doing casseroles. It really does stand up to overcooking without becoming overly mushy or falling apart. I also love all the shapes that it is available in! Although, in testing this recipe I tried several shapes and found that the elbows hold the sauce perfectly.